Sara Mohr-Pietsch hosts an Open Ear concert from LSO St Luke's. LCO, Juliet Fraser and Mire Benjamin play new music by Cassandra Miller, Na’ama Zisser, and Amber Priestley. 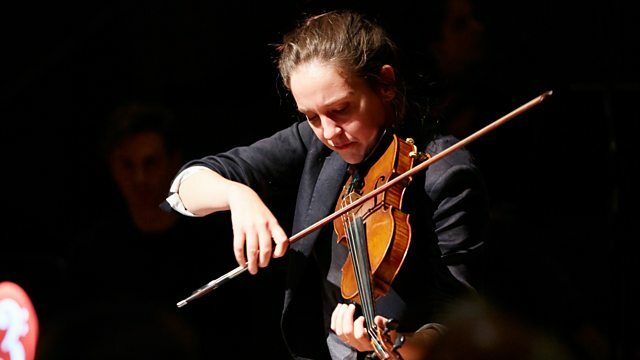 Sara Mohr-Pietsch hosts an Open Ear concert of cutting-edge new music from LSO St Luke's in London. Amber Priestley: "...and go ahead! Dare to be irrational!" Performer: London Contemporary Orchestra. Performer: Hugh Brunt. Performer: Norwegian Soloists Choir. Performer: Ensemble Allegria. Performer: Zara Benyounes. Performer: Reinoud Ford. Performer: London Contemporary Orchestra. Performer: Juliet Fraser. Performer: Hugh Brunt.